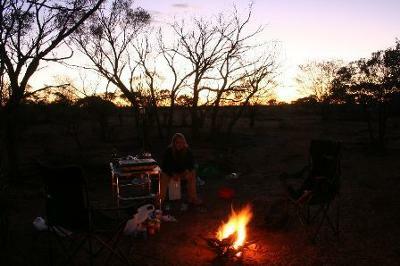 We camped in the bush near Opalton, which is a tiny community south of Winton in outback Queensland. Thats a few years ago now.. but it was great! There is of course no facilities or anything in the bush.. but there had been in town - at the time the Opalton Outpost - a shop and a caravan park - was for sale. Not sure what has happened to it by now.